Updated Monday September 5, 2016 by Katy National Little League. 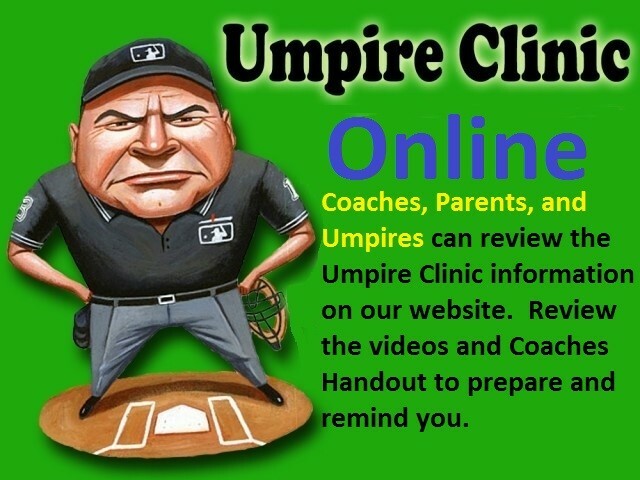 Coaches and Volunteers that want to umpire games must be familiar with the information in the Umpire Clinic Coaches Handout attached below. What does obstruction look like? Review the Two Umpire Rotation Mechanics powerpoint below. Read the notes/comments on each slide to understand what is being demonstrated.